How do you turn the market on its head? 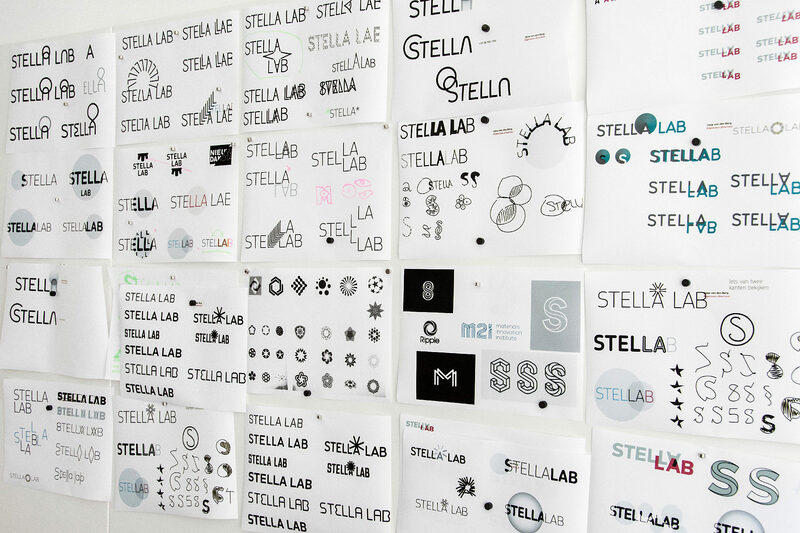 Becoming market leader while making the market more transparent: that is the ambition of Stella Lab. 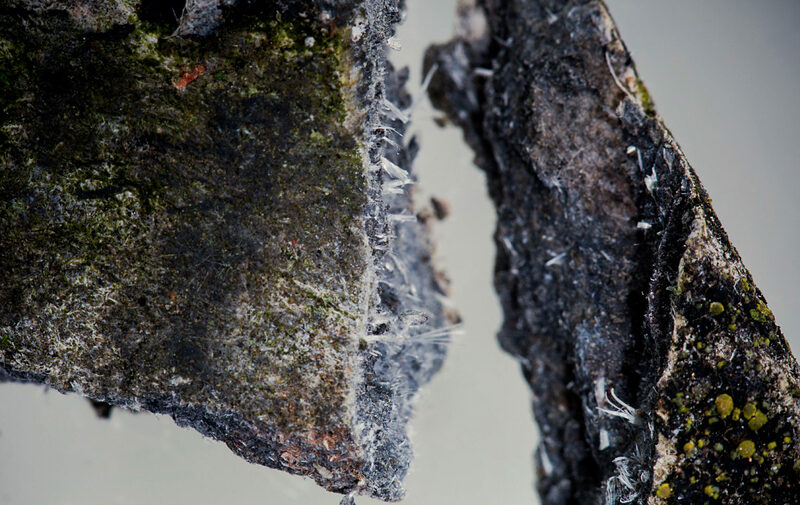 As the nation’s largest independent laboratory, it sets the standard for the analysis of asbestos. That of course also involves open external communication. Taken By Storm was responsible for the positioning and visual identity with which they will persuade new customers. 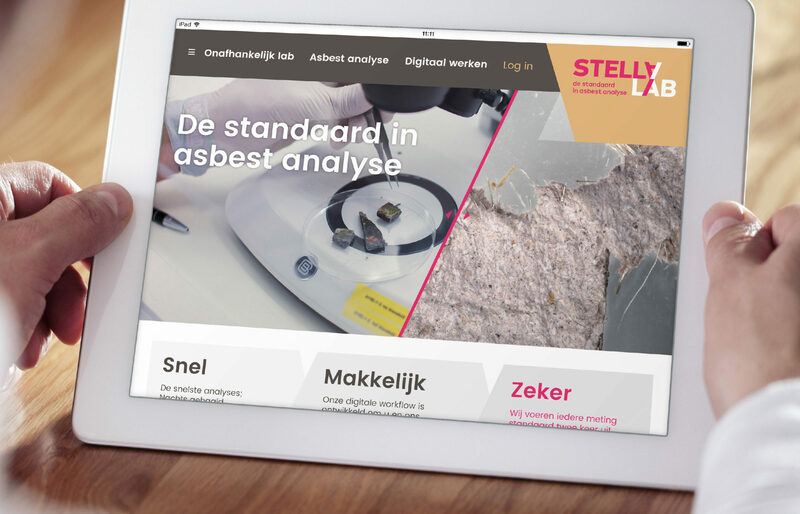 Stella lab first analyzed the workflow of their clients and translated this to digital services. 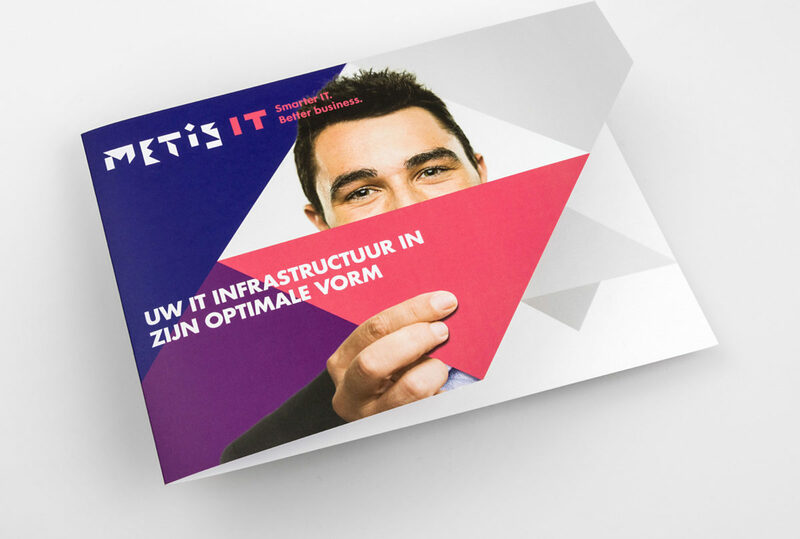 Through this investment, they can now deliver their services faster, more securely and more cost-effectively. 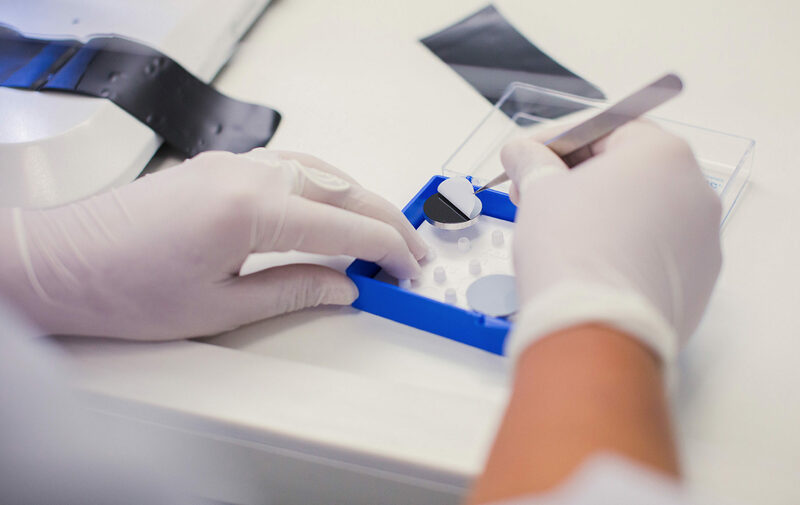 Stella Lab is the only laboratory that double-checks all samples. Taken By Storm made this visible in the double A that is prominently reflected in the logo and acts as an icon for their groundbreaking app. 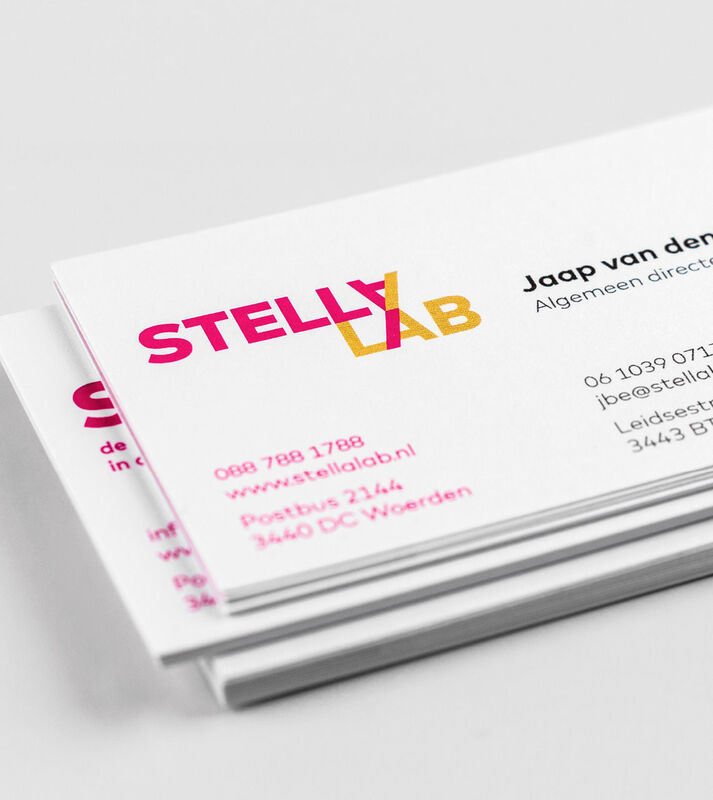 By turning the A upside down, you immediately feel how Stella Lab puts the market on its head. 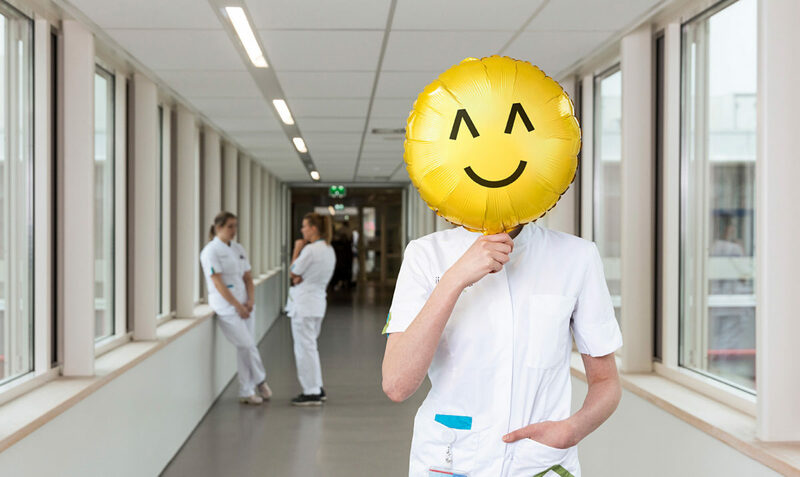 With the same excellent service that Stella Lab provides for its clients, Taken By Storm supports them in turn: with a website and webshop, brochures, exhibition material, e-mail newsletters, stationery and more. Let’s take the market by storm! We created an extensive set of stationery, templates and other correspondence material. The new website is equally tailored to mobile and desktop displays. In the lab samples like this are analysed daily. In communications, we use it combination with images of the analists at work. 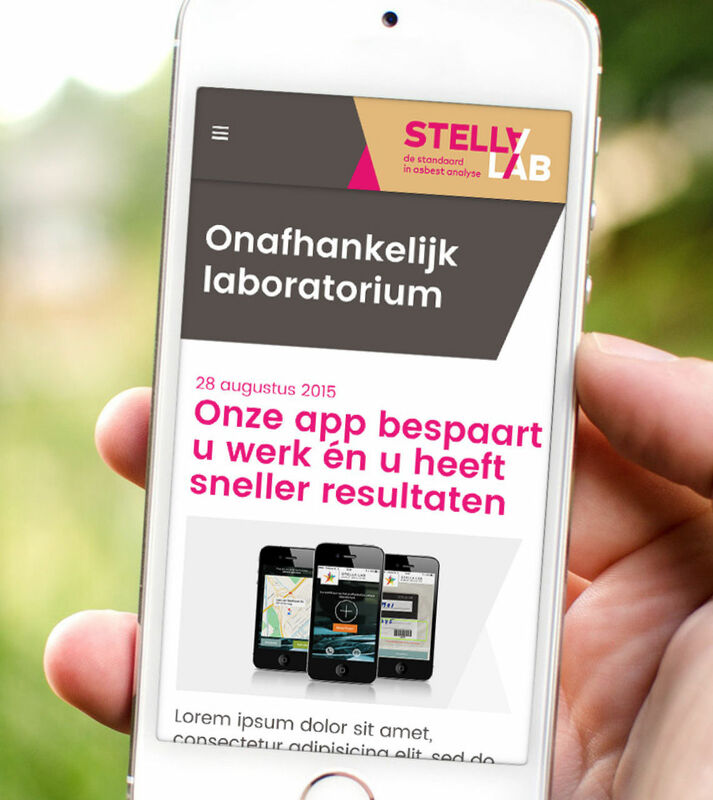 Stella Lab sends out frequent emails to their clients, using the template we designed and developed for them. Service announcements are written by Stella Lab, sales and new services are written by us. 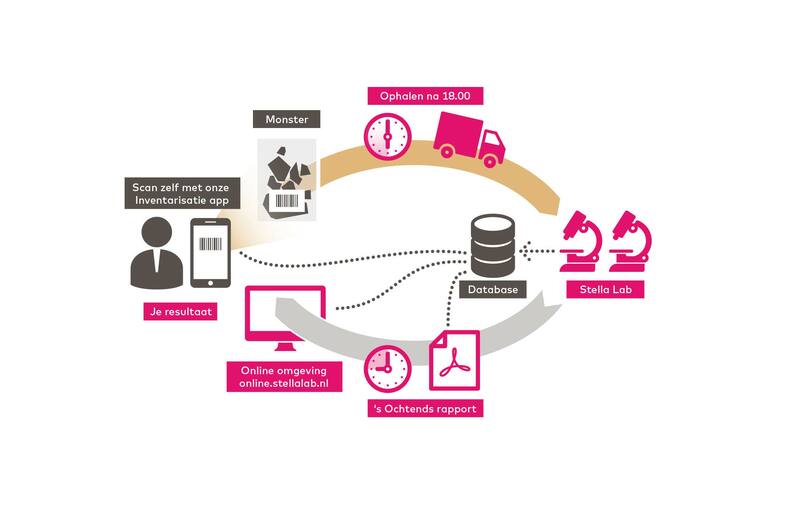 A simple schematic explains to customers how well Stella Lab has organised theirs services. This goes a long way to persuading them of the fast results, ease of use and certainty as to the results. 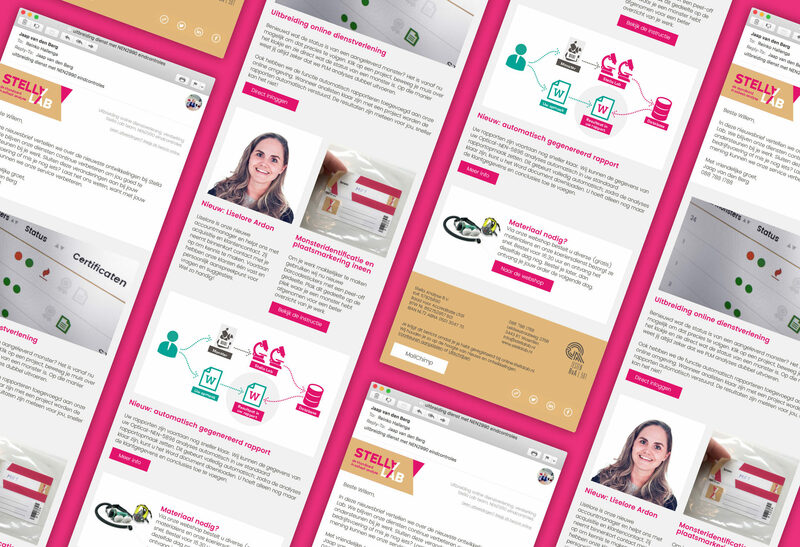 In the extranet, clients can see the status of current jobs and download the results and reports of completed tasks. 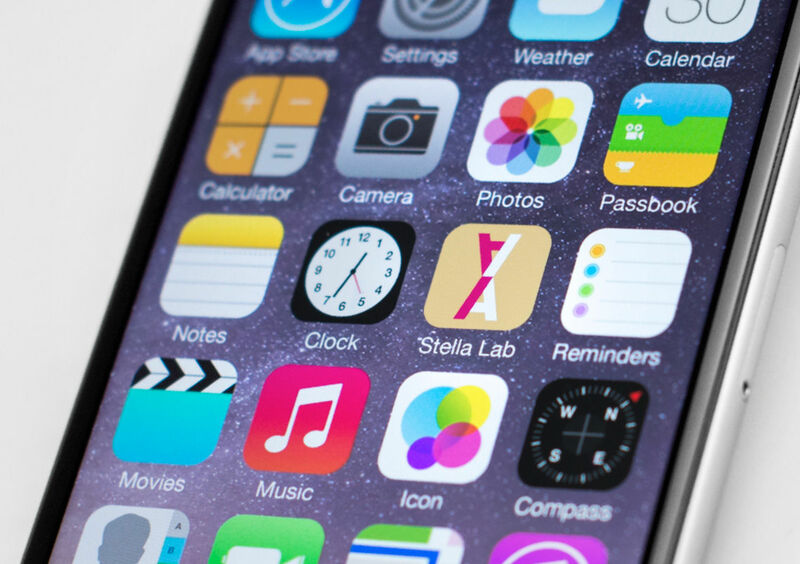 Clients use the app while collecting samples to easily record all the relevant survey data, which is then automatically uploaded to their project in Stella Lab’s database. 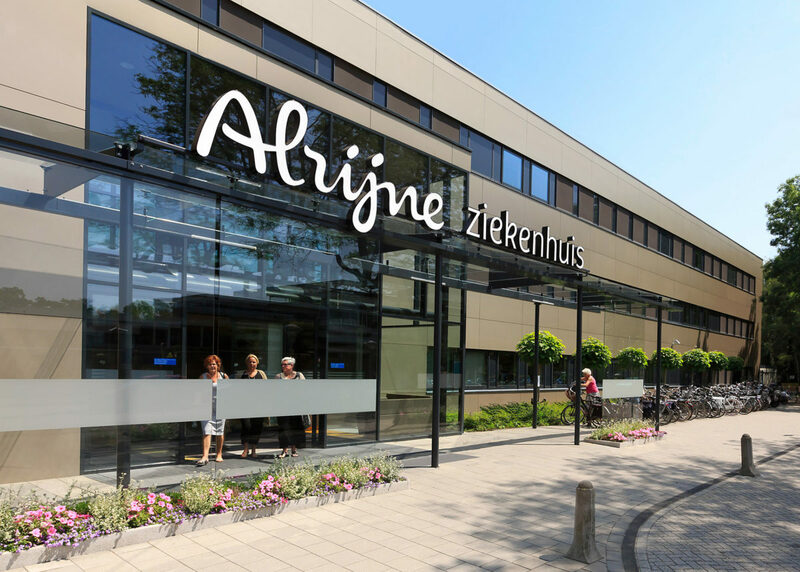 In the concept phase we approach the essence of the client’s organisation from two sides: the abstract meaning as well as form directly. Where the two meet, the best logo results.